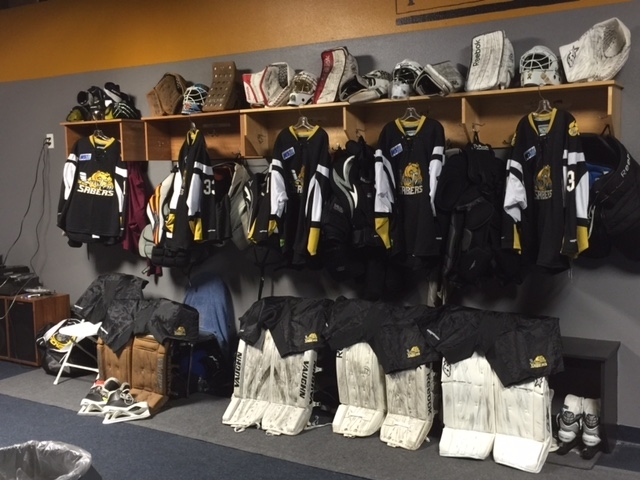 The San Diego Sabers have their own dedicated locker room that is equiped with music, wall to wall carpet, refrigerator, wifi, video/tv system and individual stalls for each player. All Sabers players will have access to onsite showers and a workout facility and a storage room for gear. The Sabers have two skate sharperners and equipment room. Players have the luxuary of storing their gear in our locker room unlike most teams who make players take their equipment home. 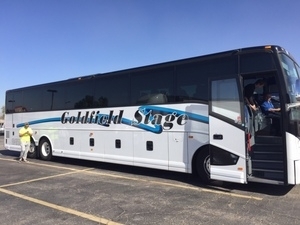 The San Diego Sabers work closely with Goldfield Stage Charter Bus Company and Five Star Tours to get all our players to and from select away games. The Sabers have access to 35 luxuary coaches that can accommodate up to 70 passengers. All buses are clean and equiped with bathroom, tv's and reclining seats. In addition to our chartered buses, the Sabers will also use 15 Passenger Vans to get players to and from select away games. Traveling as a team is a great experience and creates team bonding for all the players.